Many people have a tough time believing that God still speaks. We’ve learned from Scripture that God spoke to His people in ancient times and in mysterious ways, but how do we hear His voice now? The truth is God still communicates with His people, but He often speaks in a whisper—not to make it difficult to hear Him, but to draw us close. In this 4-session series, Mark Batterson teaches what it means for Christians to discern the voice of God in their lives. He will introduce the seven love languages of God—each of them unique and entirely divine. By learning to tune in and decipher each language, Mark equips believers to hear God’s guidance and grow closer to Him. God is speaking. Do you know how to listen? Get the full study experience by downloading the resources below. This Leader’s Guide contains over 35 pages of in-depth narrative teaching with direction for group discussion and helpful answers to biblical questions. It moves beyond knowledge to the real-life application of God’s Word in either personal or group study. Be sure to check out Mark’s book, Whisper: How to Hear the Voice of God. Available wherever books are sold. 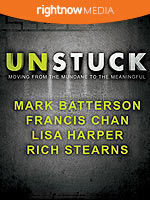 Additional “Whisper” resources are also available on MarkBatterson.com/Whisper. 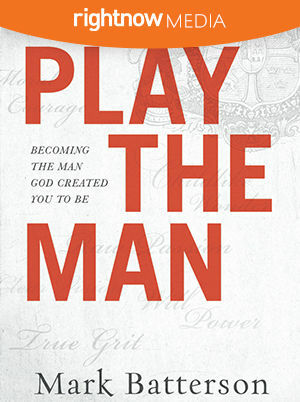 In the church today, many men find themselves confused about what it actually means to be a man. Our culture does little to help. The result is a generation of men who struggle to embrace their responsibilities, roles, and the purpose for which God created them. In this series, Mark Batterson, highlights seven virtues of manhood to offer clear insight into what it means to be a faithful man of God. Keying in on the story of the martyr Polycarp, Mark teaches through engaging stories to inspire men towards biblical discipleship that can transform the generations to come. Each lesson provides practical truths for immediate application so that men everywhere can be the brothers, husbands, fathers, and leaders God created them to be. We have a tendency to complicate Christianity. Jesus simplified it. Love God with all of your heart, soul, mind, and strength. Primal takes you on a five-week journey back to the purest faith possible. 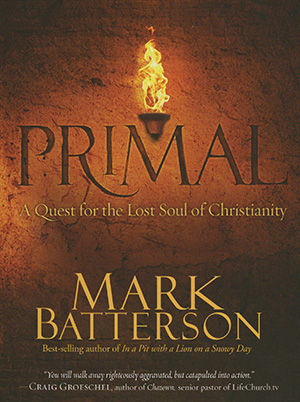 With creative video segments corresponding to the sections of the book, this study offers Mark's personal presentation of key insights about primal faith. Each segment ends with thought provoking questions that will help you or your group interact with the truths of Primal and apply them to life. If is a powerful little word. Some people are stuck in "if only," trudging through lives marked with regret. But God wants us to live lives marked with possibilities, with the "what if" attitude that looks forward to the future with confidence. Why? Because the answer to "If God is for us, who can be against us?" is "No one." God is always on our side. Every day, in every way. 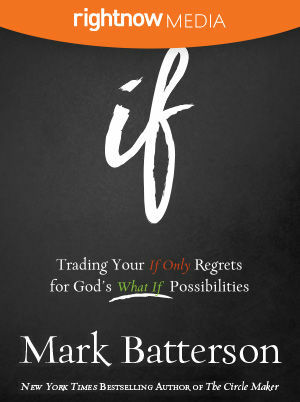 With his trademark enthusiasm and contagious joy, Mark Batterson helps us overcome feelings of guilt, fear, and doubt because in Christ there is no condemnation. 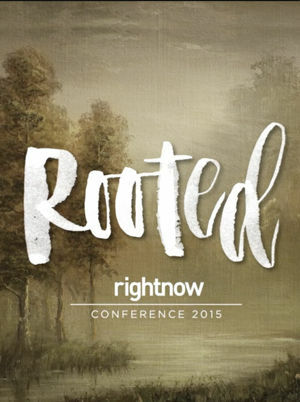 Unpacking the promises of Romans 8, he shows us that we are more than conquerors—right now and forever. And because of that, the possibilities for our lives are limitless. Note: If you are leading a group though this Bible study, watch this short training post to help you facilitate. Click here! 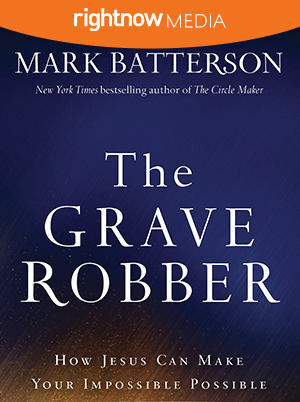 If you long to see God work in miraculous ways in the life of your church, you will love the faith-building, life-giving message found in The Grave Robber. Join pastor and bestselling author Mark Batterson on a seven-week journey as he reveals the incredible power of the seven miraculous signs of Jesus found in the Gospel of John and walks us through the very spots where Jesus chose to reveal himself through these miraculous events. Miracles are happening all around us all the time, but you won't see them if you don't know how to look for them. 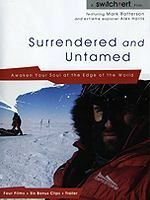 The perfect resource for small groups, book clubs, church-wide sermon series, and personal study, Surrendered and Untamed is a four-part video series that invites you to partake in an incredible 65-day, 692-mile unsupported trek in the most hostile environment in the world. With stunning cinematography and inspiring music, you'll journey with extreme explorer Alex Harris on his monumental walk to the South Pole through bone-numbing winds and subzero temperatures. 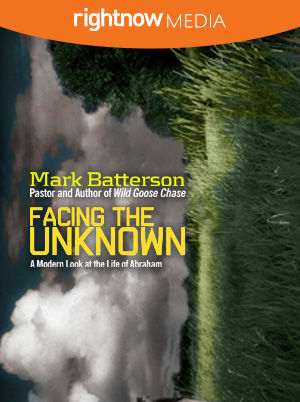 Host Mark Batterson guides you in this adventure, drawing poignant and life-changing spiritual truths from the journey. Reminding us that when we don't have the guts to take risks, we rob God of the glory that comes with success, Mark calls us to stop playing it safe and step out in faith. God promises victory, but like Alex we must take each and every difficult step to get there. So start living a surrendered life . . . so that you will be free to live untamed. What unknowns are you facing in life? Many people feel like their life leads them from one path to the next with no certainty. Is this the right job? Is he or she “the one?” Is now the time to have kids? What do I do now? Am I even on the right path? In these four video Bible study sessions, viewers will experience cinematic short films that show Abraham living in the 21st century. What might he think and feel with the incredible steps of faith God asked him to take? After each short film, Mark Batterson will teach on the Biblical principles from Abraham's story that apply to us today.